is a weekly event that was originally hosted by Jill at Breaking the Spine. This meme is a place that spotlights upcoming releases that we´re eagerly anticipating with pure joy. 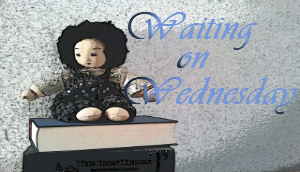 There are a lot of new books coming out each year and some of them catch my attention and will get a spotlight in my Waiting on Wednesday post. While some of them will finally end up here at my place, others won´t. I am joining Tressa at Wishful Endings and her meme Can´t-Wait Wednesday. 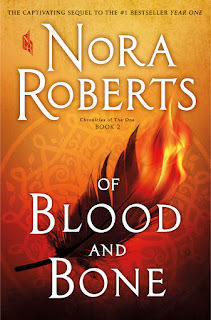 A few days ago, I got aware of this new book by Nora Roberts. The first book is already waiting for me and so it is kind of natural for me, that I have to have this one too *smile* And look at that gorgeous cover! Isn´t that a beauty? Besides, as an old NR fan, I am of course eager to get my hands on every book she is writing. Good, that sounds as if I can´t live without the author´s books. But for me, the author is a guarantee that I get something thrilling, haunting and very entertaining one way or the other. They look like an everyday family living an ordinary life. But beyond the edges of this peaceful farm, unimaginable forces of light and dark have been unleashed. Fallon Swift, approaching her thirteenth birthday, barely knows the world that existed before – the city where her parents lived, now in ruins and reclaimed by nature since the Doom sickened and killed billions. Traveling anywhere is a danger, as vicious gangs of Raiders and fanatics called Purity Warriors search for their next victim. Those like Fallon, in possession of gifts, are hunted – and the time is coming when her true nature, her identity as The One, can no longer be hidden. In a mysterious shelter in the forest, her training is about to begin under the guidance of Mallick, whose skills have been honed over centuries. She will learn the old ways of healing; study and spar, encounter faeries and elves and shifters; and find powers within herself she never imagined. And when the time is right, she will take up the sword, and fight. For until she grows into the woman she was born to be, the world outside will never be whole again. I am Vi, avid reader, book blogger and painter who loves to talk and write about books. A day without one in my hands is a wasted one. Skilled florist with a degree in writing - oh yes, that works. I like many genres, but horror is nothing for me! Have fun. Oh yes! Thanks for stopping by, Greg. Sounds like it will be a good read. 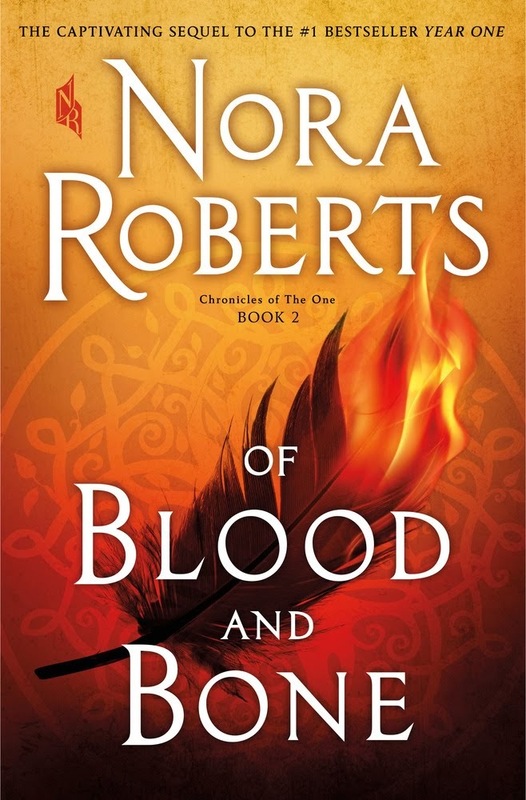 It's been a while since I've read Nora Roberts. Looking forward to reviews. Oh thank you! I hope it will be a good read *smile* Thanks for your visit. Hinweis: Mit dem Abschicken deines Kommentars akzeptierst du, dass der von dir geschriebene Kommentar und die personenbezogenen Daten, die damit verbunden sind (z.B. Username, E-Mail-Adresse, verknüpftes Profil auf Google/Wordpress) an Google-Server übermittelt werden. Weitere Informationen dazu findest du in meiner Datenschutzerklärung und in der Datenschutzerklärung von Google. I am Vi. Avid reader, book blogger and painter who loves to talk and write about books. A day without one in my hands is a wasted one. Weekly Book Wrap-Up #64 – DSGVO: Panic Or No Panic? Copyright ©2015-2019 by Inkvotary. Powered by Blogger. Copyright © 2015-2019 Inkvotary. All Rights Reserved. Dinah Theme by Anna Moore and These Paper Hearts. Roses + Kitten by Maria Kytyzova. Used with permission.